Can I duplicate an existing app template I've already built? Learn how to easily and quickly duplicate an app template in Fulcrum. 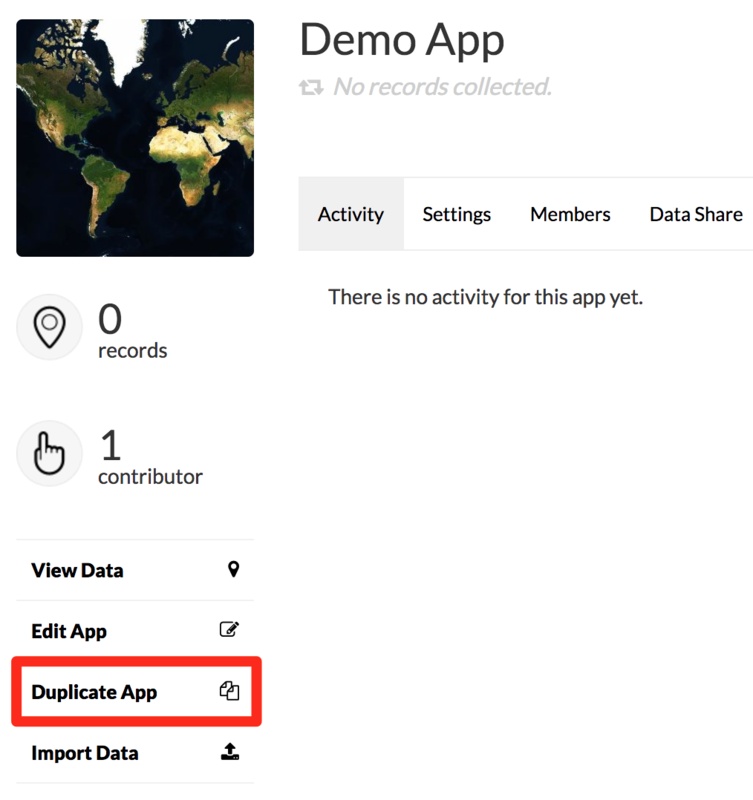 Duplicating an existing app template thats already been built in Fulcrum can be done by going to the app’s dashboard page and clicking the Duplicate App button on the left sidebar. This creates a copy of the app, with all the form fields, and configurations, but the data will not be copied.